It’s time to gather at St Katharine Docks in London for the luxury yacht show of the year, London On-Water, supported by YachtWorld and its partner show, The Luxury Yacht, Jet and Prestige Car Show at neighbouring Old Billingsgate. 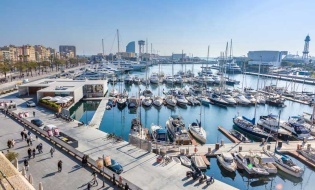 With less than a month to go and no less than 65 yachts lined up for the 4th edition of the Palma Superyacht Show, it is safe to say that the Mediterranean season opener is sailing straight for success. In the continuity of a new brand positioning started in 2014, this year’s MYS visual is the illustrated rendering of the show’s strategy to enter a new niche of potential wealthy clients and give them the opportunity to find out more about the superyacht art of living. YARE Exclusive business event of the Superyacht sector. Tuscany hosts the event dedicated to refit and aftersales, one of the most important international happenings in the sector. Intense days of business, networking and meeting for the Superyacht industry: international Captains and the best of Italian and foreign companies of the sector. Due to its popularity with visitors and exhibitors last year, the St Katharine Docks on-water element of the London Yacht, Jet & Prestige Car Show becomes an even larger, stand-alone show for 2016. The MYBA Charter Show, with its long history and dedication to quality, is both a business occasion and a true celebration. Palma de Mallorca, the “pearl of the Mediterranean”, is an enchanting city to visit at any time of the year. Its beautiful weather, stunning scenery and evolving culinary scene are some of the reasons that make it the ideal destination for a long weekend.